Demonkin were known as sons of darkness, the favored children of this world. They were inherently more sensitive to void origin power compared to the other races, and had an easier time ascending to higher ranks. It was just that this race couldn’t proliferate quite as easily. Their low reproductive power and long maturation periods were the only things stopping them from taking over the world of Evernight. Qianye felt as though he had grasped something at this point. He produced an origin bullet and tried instilling a wisp of void origin power into it. As expected, the projectile became barely discernible after the power seeped in. Qianye pressed the origin bullet into the chamber because what he knew at the moment was enough. He would mull over the details after the battle. He recalled the fragment of Sky Demon’s memory and had a feeling that this ability would reappear in his hands one day. On the other hand, Qianye also gained the ability to deal with such power after proving his theory. Qianye activated his True Sight to glance at his surroundings as he sensed an incisive killing intent behind his back. His expression turned austere—there were six ma.s.ses of dense darkness origin power scattered about within a hundred meters of him, all viscount-rank experts at the least, and even two counts. The locations where he had engaged in melee battles flashed through his mind one by one. Qianye quickly realized that he had fallen into the dark race experts’ encirclement. But he had already experienced countless desperate situations. He calmed down immediately and reached habitually into his pocket for a stimulant. However, he found that his pockets were actually empty, and there weren’t any suitable medicines in Andruil’s Mysterious Realm, either. Only at this point did Qianye realize that he had used up all of his medicines and stimulants. This went to show just how fierce the battles had been. He was out of supplies, but this filled Qianye with greater battle intent. He gradually activated his void origin power and instilled some of it into East Peak. Under conscious observation, Qianye could feel the Dark Thread Crystals expand, absorb, and recover. It filled him with a mysterious sensation—it was as though East Peak had come alive and was breathing. Afterward, East Peak’s existence grew much fainter in Qianye’s perception. Its power was barely at the level of a rank-nine fighter’s even after he had instilled the greatest extent of origin power. In its current state, East Peak’s tremendous might was likely to be overlooked in hand to hand combat. 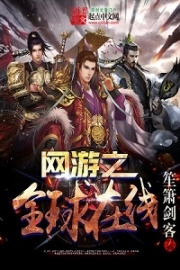 Qianye suddenly erupted with power after completing his activation and pierced his sword into the ceiling. The stone board was extremely brittle against East Peak and was pierced through in one blow. Qianye shot straight upward like a rocket, traversing three floors and appearing in front of an arachne viscount. There, he launched a horizontal strike at its ma.s.sive body. The arachne had already transformed into its half-spider combat form at this point—its second-rank viscount aura was deep and profound. He stared on at the broken ground with an astonished expression and at the shadowy figure which soon rushed out from it. The arachne could hardly evade in the face of the sudden development and simply swung his battle-axe in an attempt to block this blow from East Peak. The arachne’s entire body shook violently as the weapons collided. 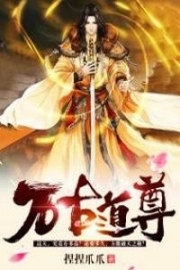 Qianye appeared as light and flexible as a feather, but this sword blow carried the weight of a mountain! The arachne viscount only heard an ear-piercing whistle before his battle-axe was bent out of shape. The sounds of shattered bones emerged from his arms as his elbow joint moved to an abnormal angle. East Peak arced through the air and slashed down, cutting through two of the arachne’s limbs in the process. Qianye was in no rush to finish the enemy off. Instead, he activated his oceanic power and quickly suppressed the surroundings. The arachne collapsed to the ground, hardly able to endure the pressure with his limbs cut off. Qianye raised East Peak from the ground, and as the blade landed, the arachne viscount’s head flew high into the air. Only at this point did Qianye move close and plunged the vampiric blade into his body. The waves of fresh essence blood raised his spirits. All of this happened in an instant. In his True Sight, Qianye could see that most of the origin power ma.s.ses within a hundred meters were approaching this place. But it was already too late—the dust had settled over the battle here. Qianye actuated his origin power and rapidly expanded his domain, causing the Oceanic Might to grow incomparably heavy. Even the st.u.r.dy castle structures began to sway under the pressure and large cracks appeared in the ceiling in the blink of an eye. A large stone slab soon fell to the floor with a loud boom. The castle architecture in a ten-meter radius around Qianye began to collapse. Curses and cries of surprise rang out as those who had lost their hiding places jumped out from the rubble. The entire roof fell through with a rumble, revealing the dense ink-colored sky of Evernight. Instead of retreating, Qianye shot through the roof and leaped into the air. Several figures in the surrounding rubble followed him up into the air and launched simultaneous attacks. Their grasp of timing wasn’t lacking at all. The collapse just now only delayed their steps ever so slightly. As veterans of countless battles, these dark race experts managed to quickly regain their calm. The weakest among them were viscounts, while the leader was a demonkin count. With Qianye’s current strength, it would be difficult for him to even escape, much less contend against them. The demonkin count’s figure flickered and his vertical eye erupted with a mysterious light as he lunged at Qianye. A giant starry-eyed python also materialized above him and sprayed out a stream of black energy. The demonkin’s expression was sinister because this black energy could exert a paralysis effect without even covering up the target up completely. What the count didn’t quite understand was why Qianye would give up his advantage and jump into the air. He was simply asking to be encircled. It was during this time of urgency that three crisp gunshots rang out in the night sky. Several bright lines tore through the darkness like flaming whips and struck the three viscounts to the lower left side of Qianye. The three dark viscounts cried in misery. Two of them covered themselves in blood energy and finally managed to suppress the flames of the refined silver bullet. However, the last third-rank viscount was slightly inferior. The fire on his body burned with increasing ferocity until he fell into the rubble in the form of a flaming ball. Zhang s.h.i.+duo had noticed the dangerous situation from atop the sentry tower and produced an opening for Qianye with three consecutive shots. Qianye, who had just evaded the black energy in the air, let out a secret sigh. After all, he and Zhang s.h.i.+duo weren’t that familiar. Their level of cooperation couldn’t be that great. In truth, Qianye had hoped Zhang s.h.i.+duo would focus all three shots on the demonkin count and gravely injure the strongest enemy. As for the others, Qianye didn’t care much about them at all since he could finish them all off mid-air. In other words, Qianye simply had no intention of running away. Instead, he wanted to take this opportunity to counterattack. Qianye had no time to care about the missed opportunity. He quickly moved East Peak to block the count’s attack, then drew the Twin Flowers—a pair of luminous wings unfurled behind him as the handguns blasted the python totem into oblivion. Zhang s.h.i.+duo’s expression changed immediately upon seeing that Qianye hadn’t retreated from the opening and was instead exchanging blows with the count. He could do nothing more at this point. Ordinary champions could only produce one shot at this level of firepower before needing to recover. The three consecutive shorts just now was born of Zhang s.h.i.+duo’s special ability, which meant that it was already his limit. He wouldn’t be able to fire another shot at the viscount level for another fifteen minutes. However, the fierce battle around him forced him to stop thinking too much. The sentry tower he was on was an extremely important vantage point, and the dark race warriors weren’t willing to give it up. At this moment, a new wave of attacks had broken out below. The melee and ranged warriors of the Zhang and Zhao clans were fighting for their position, inch by inch. Zhang s.h.i.+duo couldn’t help but curse, “G.o.ddammit, that Zhao clan brat!” Then, he picked up a heavy hand-cannon and began hammering a dark race squad that was attempting to climb the tower. In the air, Qianye and the demonkin count were already entangled in melee combat, and the surrounding viscounts were beginning to grow restless now that the distant sniper was silent. They had just pounced toward Qianye when they heard the sound of great ocean waves cras.h.i.+ng down upon them. A heavy pressure descended from the sky and made it difficult for them to even remain in the air. During their momentary pause, Qianye’s eyes locked onto the demonkin count and let out a furious roar. He swung East Peak down without any semblance of defense, seemingly poised to end the battle in mutual destruction. The demonkin was shocked out of his wits. He had already realized that East Peak was no ordinary sword and that there was no way his body could endure a straight blow. He was of n.o.ble status and held the advantage in battle. Why would he want to go down with the enemy? It wasn’t worth it even if he could trade a blow for this human’s head. The count had no choice but to withdraw the sword aimed at Qianye’s ribs and block East Peak with his full power. However, the count’s figure appeared in Qianye’s eyes as their blades met. The demonkin felt an abrupt pain in his chest which effectively weakened the power he was able to exert. An earth-shattering pressure pa.s.sed through his sword as he was sent flying like a cannonball and crashed into the rubble. Qianye’s Oceanic Might weakened as he chased after the count, allowing the other viscounts to regain their mobility. These experienced warriors rushed toward the ruins in a bid to launch a pincer attack after realizing that Qianye’s combat strength was inferior to the demonkin count. He possessed exceptional single-target attack power but wouldn’t last long in a drawn-out siege. However, they had just begun moving when the air was filled with a frosty blue and everything became covered in a layer of ice. Both the demonkin and vampire viscounts found their weapons frozen. Black mist and blood energy erupted momentarily as they did their utmost to expel the blue air. The numerous viscounts turned back through the chill, but their movements had slowed down several times over. They saw Li Kuanglan stepping through the air and a subsequent blue splendor sweeping over from her. The aqua blue radiance arrived noiselessly and as ephemeral as a dream. However, a sense of extreme danger welled up in their hearts—an instinctive reaction to a life and death crisis. Some immediately activated their life-saving secret arts without the slightest bit of hesitation, while others prepared their final abilities. As expected of people close to the great dark monarchs, these viscounts were able to make rapid decisions at the moment of life and death. It was at this critical moment that a green light appeared in the air and shot through the frost energy like a fish in the water. All the dark race viscounts felt as though a needle was piercing into their foreheads when the green energy appeared. Their bodies trembled, and all their secret arts were interrupted midway. This moment of hesitation was lethal. The frost sword energy flitted past silently and froze all of the viscounts—their movements, their expressions, everything came to a standstill as ice covered their bodies. The newly formed ice sculptures then collapsed into the rubble one after another. There was no joy on Li Kuanglan’s face despite having killed several viscounts in one slash. On the contrary, she looked toward the distant sky with a stern expression. Zhao Jundu stepped through the air with the exceptionally eye-catching Blue Firmament in his hands. 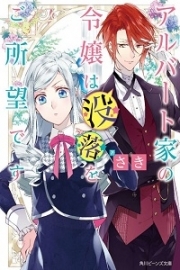 You're Read Monarch of Evernight Chapter 551: Counter online at BestLightNovel.com. You can use the follow function to bookmark your favorite novel ( Only for registered users ). If you find any errors ( can't read,broken links, can't load photos, etc.. ), Please let us know so we can fix it as soon as possible. And when you start a conversation or debate about a certain topic with other people, please do not offend them just because you don't like their opinions. You're reading Monarch of Evernight. This manga has been translated by Updating. Author(s): 烟雨江南. Already has 148 views. Current Time is 24-Apr-2019 11:02:28 AM.